The Canadian software company might not design or manufacturer smartphones anymore, but the Chinese company curating the BlackBerry device portfolio is looking to continue releasing new devices. At the Consumer Electronic Show in Las Vegas, Nevada, TCL announced that it would release “at least” two new BlackBerry-branded smartphones in 2018. “It has been less than one year since we formally introduced the world to our all-new BlackBerry smartphones and we’ve seen very strong renewed interest thanks to devices like BlackBerry KEYone and BlackBerry Motion,” said Alain Lejeune, the global general manager for BlackBerry Mobile, in a January 9th, 2018 media release. Alex Thurber, the senior vice president and general manager of mobility solutions at BlackBerry also announced plans to roll out Android 8.0 Oreo to BlackBerry devices. In the same release, BlackBerry said that the BlackBerry Motion will receive an update to Android Oreo later this year. The last device formally designed and manufactured by BlackBerry was the BlackBerry Priv, released on November 6th, 2015. Roughly one-year-later, BlackBerry signed a long-term licensing agreement with TCL that allowed the Chinese company to design and release BlackBerry-branded smartphones. The first BlackBerry device released by TCL was the DTEK50, followed by the DTEK60 which were BlackBerry-branded versions of Alcatel’s Idol 4 and Idol 4S smartphones. 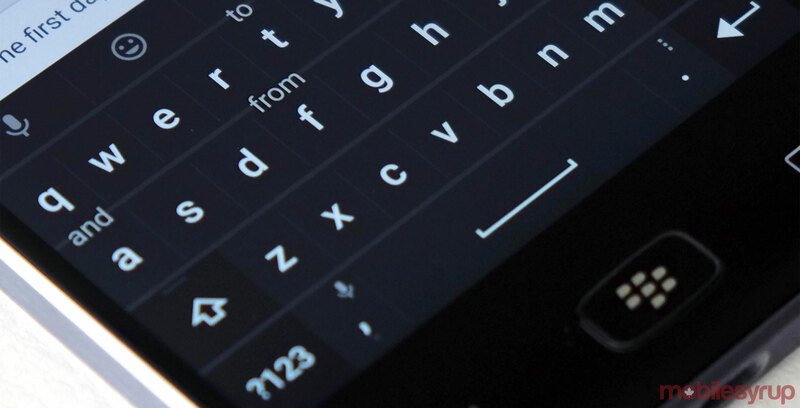 TCL’s first original BlackBerry-branded smartphone was the KEYone — the second BlackBerry device running Android to feature a hardware keyboard. TCL followed up the KEYone with the BlackBerry Motion, a return to TCL’s efforts focusing on touchscreen devices running Android.